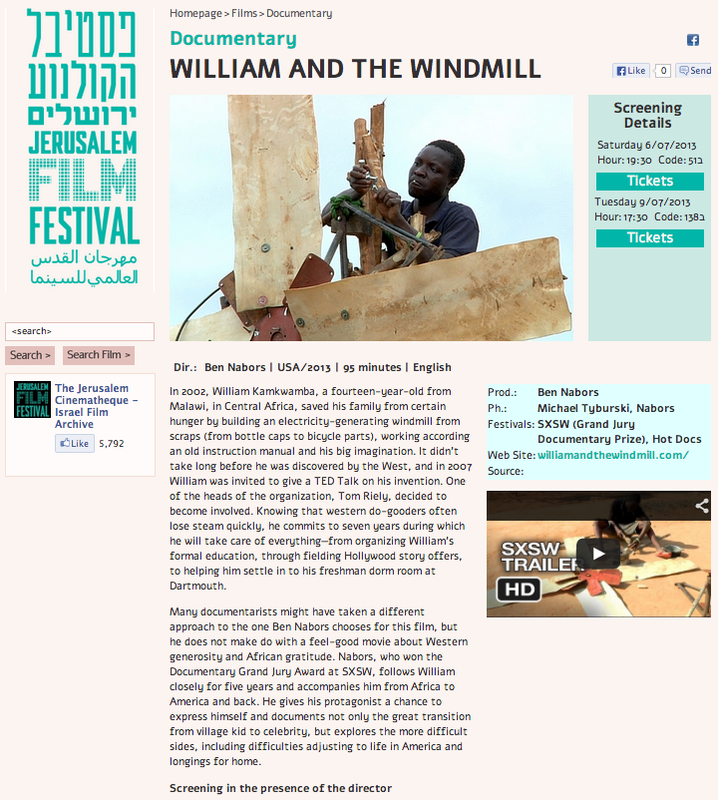 We're truly freilich to be playing this week and next at the Jerusalem Film Festival. Read what they have to say about W&W below, and click through for tickets. Many documentarists might have taken a different approach to the one Ben Nabors chooses for this film, but he does not make do with a feel-good movie about Western generosity and African gratitude. Nabors, who won the Documentary Grand Jury Award at SXSW, follows William closely for five years and accompanies him from Africa to America and back. He gives his protagonist a chance to express himself and documents not only the great transition from village kid to celebrity, but explores the more difficult sides, including difficulties adjusting to life in America and longings for home.